Recreational Vehicles can be fickle things. 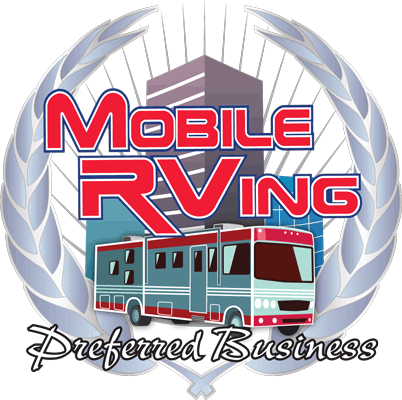 Unlike cars or trucks, which are built for high strength and where weight is not a humungous issue, RV’s are built to be light weight for easier towing. The construction materials of many RVs do not even include true dimensional lumber. Studs are typically much smaller than a 2 x 4. Roof rafters are similarly made. Of course, not all units use small lumber. More expensive trailers and motorhomes use aluminum or steel studs and rafters. On to the topic of this article-roof maintenance. Roofs are typically clad in one of three materials, a rubber membrane, fiberglass or metal. The latter 2 are much easier to maintain than a rubber roof. In general, all roofs need an annual inspection. Be careful when walking on the roof. Be aware of trip hazards, watch where you are in relation to the edge of the roof and be especially careful around large roof penetrations such as skylights and vents. I find that the roof deck is a little weaker in these areas, even though they are usually framed out with some sort of wood. And please, watch for overhead electrical lines. What are we looking for? First, look at the overall condition of the roof. Is it relatively flat? Do you notice high or low spots? Is there water staining in one area? Are there holes or tears in the membrane? If so, patch kits are available for EPDM and TPO membranes. Does your roof look like an orange peel or do you see black through the white? If you have either of these conditions you will need a roof replacement. Yes, they do sell roof coating, however, for these coatings to adhere well, the roof membrane needs to be clean and free from loose material. At best, roof coatings can extend the useful life of your roof by 1 or 2 years. After that you will need to have a roof tear off and replacement. Next, look at the rooftop components. Are all the vent lids in good shape? Are there any visible cracks and do they operate normally? Look at the skylight. Do you see any fine cracks in the dome? Are there signs of condensation between the inner and outer domes? Both your vents, and skylight, are attached to the roof with a flange. Vents have sixteen to twenty screws that hold it to the roof deck, while skylights have more because of their size. Are screws missing or coming loose? If so, this could be a sign that there is water damage. You will want to delve deeper into the cause right away. You should have holding tank vent stacks. Each should have some sort of cover on them. Is it in place? Is it cracked? Vent covers are also held in place with a flange. How does it look? There may be a rectangular plastic vent on your roof. This vent cover if for your refrigerator. These guys get brittle after a couple of years in the sun. Grab hold of the bottom edge and gently pull. Did it break off? If so, replace it. Now look at the 4 screws in the top. Are the holes elongated or show stress fractures? If so, replace it. There is also an inner component to this vent cover. When you remove the outer cover, there will be another section that may have insect screen on it. If damaged, replace. Antennas. Almost all RVs have an off the air TV antenna. This may be older “bat wing” style or the newer “Arrow” or “flying saucer” type. In all cases, inspect it for impact damage. Inspect your air conditioner shrouds. They get brittle just like the refrigerator vent. Inspect the screws, either on the top or along the bottom edge and inspect the fins for damage or debris. You may have other items on your roof, such as solar panels, cargo racks, satellite dish, stereo or CB antennas. Inspect the attachment method. Are the screws in place and secure? Now look at the seams of the roof. You are looking at the front and rear cap-the point where the roof material meets the front and rear vertical walls, and the drip rail along the long side of the unit. Again, look for all the screws being in place, as well as any trim molding. Clean out the gutters if you have them. Now, cleaning. Once you have inspected and repaired any deficiencies, it is time to clean the roof. USE ONLY APPROVED CLEANING PRODUCTS designed for your roof material. Once the roof is clean and dry, it is time to apply the lap sealant. If your sealant is not badly cracked or loose, you can apply a fresh layer of lap sealant right over the top. I use a battery powered caulk gun. It really saves my hand from all that squeezing. Be liberal with the sealant. Be sure to cover all screws, around the base of all flanges and all seams and openings. If you need to remove old lap sealant use a painter’s multi tool. BE CAREFUL! You do not want to tear or poke any holes in the roof membrane. You are done. Your roof is good for another year! Happy Camping! Ed Tworek is a RVSA Master Certified technician, RVIA Registered technician and an NRVIA Certified RV Inspector.